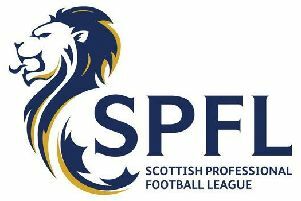 Unbeaten Conference B League leaders Bonnyrigg Rose stretched their current run to a 16th unbeaten league championship game with a five star victory over hosts Sauchie. Rose hit the 46 point mark at Beechwood Park last Saturday and netted their 70th league goal of the season in the process. The Bonnyrigg men did not wait long to make their mark on the game with only three minutes gone before opening their account and their amazing 120th goal of the season overall, when a Lewis Turner cross was put home by Keiron McGachie to put early Rose 1-0 up. In the ninth minute came that 70th league goal following a high cross from Lee Currie to the far post where Dean Hoskins headed home. The Rose were coasting now in a good overall performance on the day as in 19 minutes unstoppable Bonnyrigg went 3-0 up with a “special“ Lee Currie goal hit home from some 30 yards out. A miskick out by the Sauchie keeper found Currie ready to shoot and score as Sauchie were reeling. The Rose certainly were ruling the roost as they took a deserved 3-0 lead into the half time interval with all three points looking safely gathered. The Rose had beaten Sauchie 5-0 at New Dundas Park in December and in this rematch it was looking like heading that way again as by the hour mark it was 4-0 to the Rose. Sauchie blocked a Lewis Turner effort only to see the rebound come to Dean Brett who finished it off to ease the Rose further ahead at 4-0. Just five minutes later however it was 4-1 via the penalty spot for a Kerr Young push in the box and despite Bryan Young getting a hand to the resultant spot kick David Cross netted a consolation goal for the hosts. Rose boss Robbie Horn refreshed the lineup with Louis Swanson and Jon Brown coming on for Scott Gray and Neil Martyniuk and it was Swanson who had the ball in the net in 82 minutes with a fine run and shot taking a slight deflection into the Sauchie net. Bonnyrigg remain 10 points clear at the top of Conference B ahead of second top Dundonald Bluebell.